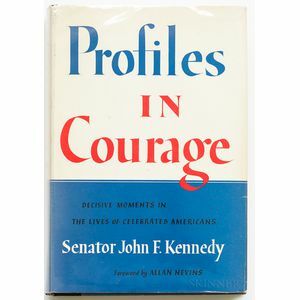 Kennedy, John F. (1917-1963) Profiles in Courage. New York: Harper & Brothers, 1956. 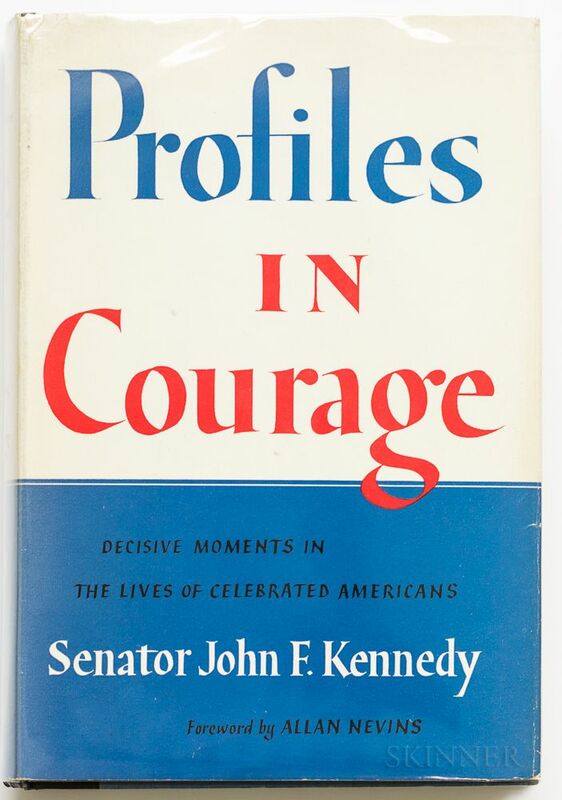 Stated first edition, with "M-E" on copyright page, bound in very good half black cloth publisher's binding with boards in blue textured cloth, and dust jacket (spine of jacket slightly toned, lightly chipped at head) old book ticket of Bay Colony Bookshop, Newbury Street, Boston on ffep, 8 1/4 x 5 1/2 in.